In August 2016, the Biscayne Bay campus will welcome Bayview Student Living at FIU, a nine-story, state-of-the-art apartment complex strategically built with sweeping views of Biscayne Bay. The new site was an intentional divergence from its predecessor and hopes to provide student residents with a luxury apartment feel. “Our students will enjoy the natural beauty of Biscayne Bay, ocean sunrises and views of the Miami skyline from their suites in Bayview Housing,” said James Wassernaar, director of facilities planning and operations in the Division of Student Affairs. Wassernaar has been instrumental in bringing the project to fruition and was one of many administrators who advocated for students who wanted direct water views. 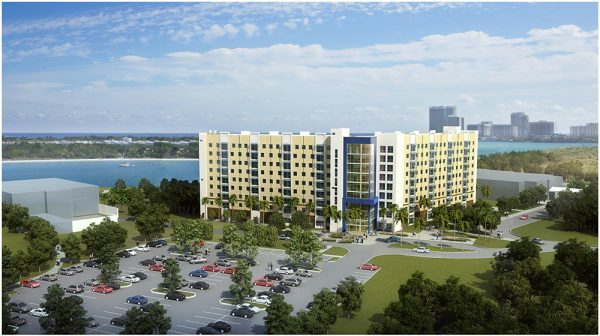 The $60 million project will bring 410 beds in 154 apartment units consisting of studios, two-bedroom/two-bathroom and four-bedroom/two-bathroom room styles to the Biscayne Bay Campus. The project was made possible through a public-private partnership with Servitas, a privately owned company focused exclusively on student housing development and property management. According to Michael Short, executive vice president and chief operating officer of Servitas, the 200,000-square-foot building will include four classrooms, a sky lounge and multiple common spaces to provide a high quality living/learning community. 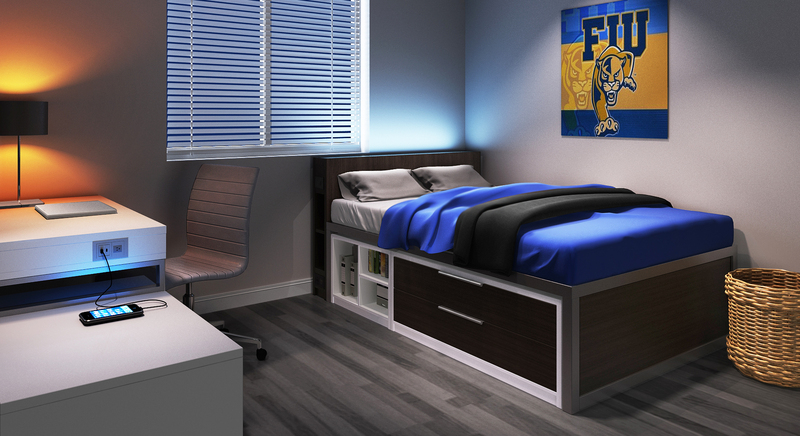 Rendering of Bayview Student Living at FIU, opening August 2016. 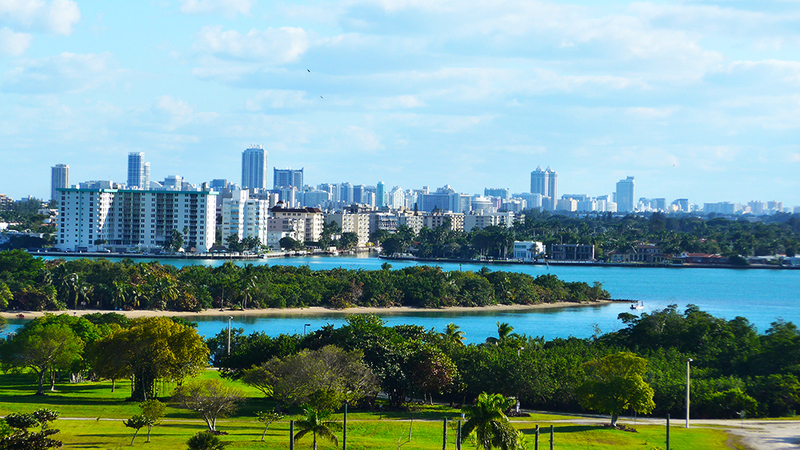 Views facing east from the top floor of Bayview Student Living at FIU. 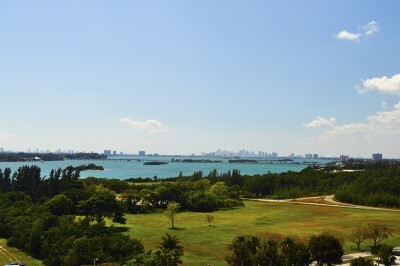 Views facing west from the top floor of Bayview Student Living at FIU. Short confirms that Servitas will manage the property once completed. To ensure that resident students live an authentic FIU on-campus experience, the company has worked closely with the department of Housing and Residential Life. Students are thrilled to have housing back at BBC. Senior Allhan Mejia, president of Student Government Association at Biscayne Bay Campus, noted that he is looking forward to bringing the liveliness and excitement back that comes with having students on campus around the clock. 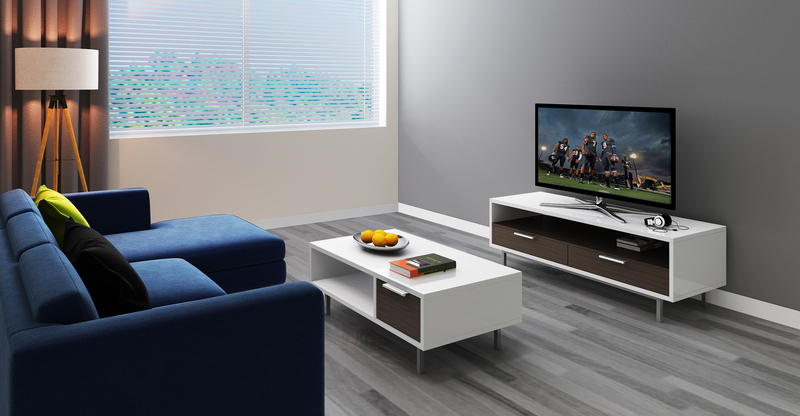 Apartments come fully furnished with sleek, modern furniture, and Wi-Fi and satellite TV included. Bedrooms are furnished with a study desk, chair and built-in storage platform bed, complete with LED lights in the headboard. 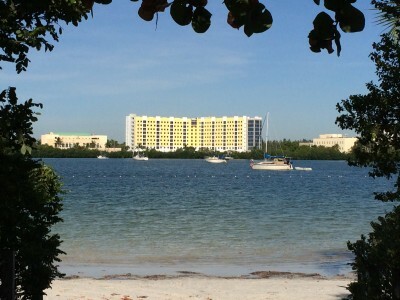 Photo of Bayview Student Living at FIU taken from Oleta River State Park in North Miami Beach, FL. Comparable to Miami’s luxury rental market, Bayview Student Living at FIU will feature a resort-style pool, 24-hour fitness center, business center with computers, and 24-hour emergency management and maintenance. Individual apartments include a built-in breakfast bar, central heat and A/C, dishwashers, energy-efficient appliances, granite countertops and faux hardwood floors. All apartments are fully furnished and include features such as USB chargers in desks and bedroom headboards. The sleek and modern furniture is a far cry from the old days of Christmas lights adorning dorm room ceilings. Each bed at Bayview includes a LED lightbox built-in to the headboard. Apartment rental rates include all utility costs, satellite TV and Internet, and start at $1,008 per month per person for a 12-month lease in a 4-bedroom/2-bathroom unit. 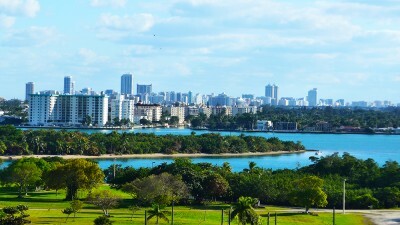 For more information or to apply to live at Bayview, please visit BayviewFIU.com.